Foster Brothers is a registered common carrier. Our fleet of company-owned trucks are equipped to handle most of your trucking needs across the Midwest. Please contact us with questions about our trucking options. Foster Brothers has offered barge shipments of our products domestically and internationally for over 25 years. Supplying export-quality hardwood chips has been a key part of Foster Brothers' business since 1993. We use the Midwest’s dominant tree species to produce 90 percent-oak wood chips. We use precise screening, chipping and laboratory analysis on a daily basis to ensure top quality in every batch. Whether you need one truckload or a whole barge-load, our modern processing systems allow us to supply chips at competitive prices. Our export-quality chips are processed to have less than 1% bark, 4% fines, and 5% overs. Chip size varies from 5/8 to 1 inch (5/8” to 1”). Moisture content ranges from 40% to 45%. 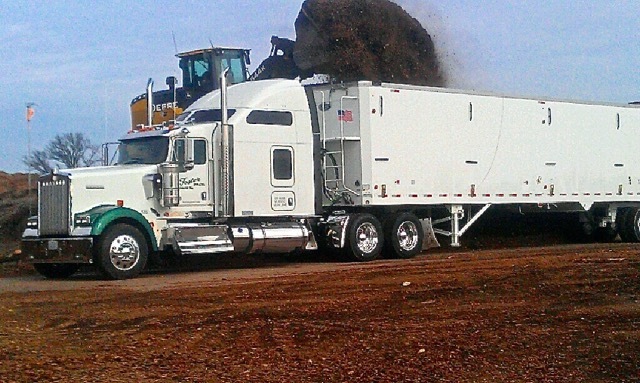 Foster Brothers has supplied barge shipments of our landscaping mulch to the Midwest since 1990. We continue to offer truck and barge shipments of our premium landscaping products at competitive prices. 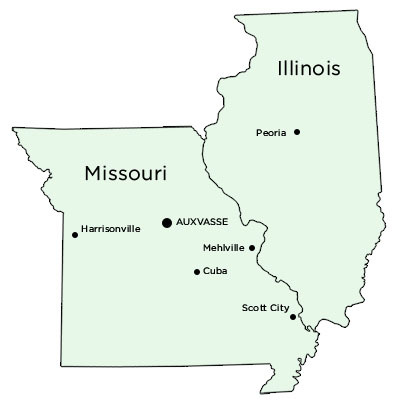 Foster Brothers is the leading supplier of biofuel products for Missouri’s colleges, municipalities, and correctional institutions. Barge shipments of our biofuel wood products are available on most waterways in the United States. Please contact us with questions about our barge shipping options.